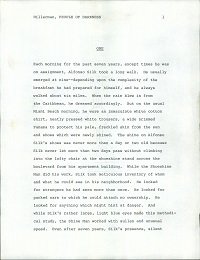 People of Darkness, Manuscript, p.1-279. This is a mature draft of People of Darkness which bears only a few editing and correction marks. This version is neatly typed on New Mexico Bond paper.